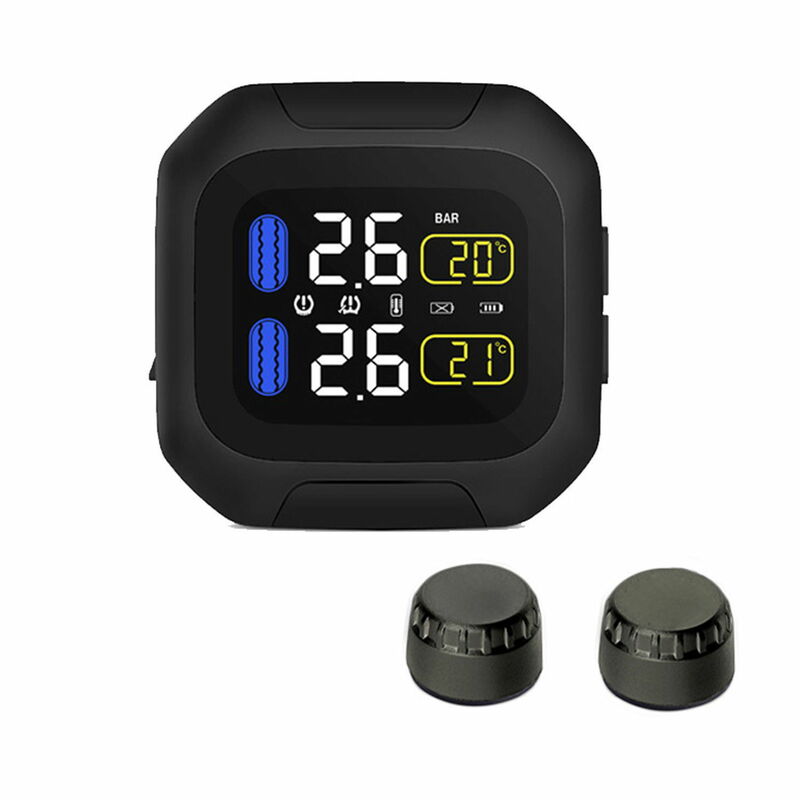 Tire Pressure Monitoring systems for motorcycles ...any one added one to their bike, VTR or other? Mostly I like the leak alarm.... like many of you, it bothers me not at all to check pressure before a ride, and likely even with TPMS I still would. The sensors appear to be replacement valve caps which, presumably, hold the Schrader valve open in order to sense tire pressure. This scheme has always concerned me as you've now removed the relative reliability of the Schrader valve and replaced it with an unkown. If this is an accurate description of how these work, you're also increasing the required sealing area needed by a great deal, therefore increasing the likelihood of seal failure, all things being equal. Also consider one sealing surface is the threaded end of the valve stem which I really don't think is intended to be a finished surface to accommodate a pressure seal. I don't imagine it would be terribly difficult or expensive to produce a design like this with a reliable sealing arrangement, but have they? I would want to see some information on their design with respect to this. 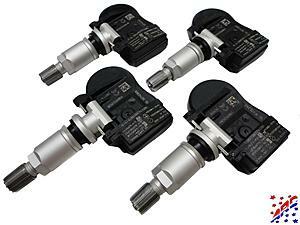 It would be very cool to have a TPMS on a motorcycle, though, tire pressure being much more critical when on two wheels and all. The temperature monitoring is also a very cool bonus. As an afterthought, one downside of having a TPMS would mean I would end up with a bunch of old, stale air in my tires. My mad tire pressure checking skills ensure I regularly cycle fresh, clean air through my tires. As everyone knows, this is just as critical as keeping your blinker fluid topped off and your muffler bearings properly lubed. Last edited by VTR1000F; 08-25-2018 at 05:47 PM. Reason: "r"
Yes they do just that... a replacement cap is installed that holds the valve open, and senses pressure. After posting I read a bunch of reviews, there are many that say they are not accurate, as in 14-17 pounds off as confirmed with a very good gauge. It seems they discontinued low end offerings and now only sell the high end race stuff,,which is way more then i want, and also dos not have the basic feature I do want...low pressure alarm. There are MANY TPMS sensor styles for the auto world... some valve replacement types,. some mount to the wheel. Last edited by E.Marquez; 08-25-2018 at 10:03 AM. in 2014 they were going for $130 a set in the US.. I bought a TPMS from Mr EBay, and have it fitted to the VTR, but have only had it on there for 500km. I had a 100% correlation between my digital gauge and the TPMS, set them for 36/42 and that is what the TPMS shows cold. I do like that the display shows me what is in the tyres as soon as they have rolled over in the garage which saves a pre-ride check. These do screw down onto the Schrader valves, then have a locknut to secure them. That "brand" seems to be the most common design and sold under dozens of names brands. The screens are reported to be both fragile and not as water proof as advertised. Work or not work out of the box seems hit or miss as well as accuracy, happy to hear yours is working. tpms is a great idea and should definitely be on motorcycles. I had the external type on my ducati 1098. I hated them and the final straw was when I went to the garage to get ready for a ride I saw the rear tire was flat. so I said "what's the point if instead of saving myself bending down to manually check the pressure I have to manually reinflate the tires and check them. they are actually making more work for me". to the garbage they went. as vtr1000f said, the seal is not reliable. i'd beware the internal tpms with the steel fittings. one on my wife's jeep let go on the highway and things got real exciting real fast. when I went to get a new one the dealer informed me that the steel ones are discontinued because of issues. the replacements are rubber and work well. I have since bought more of the rubber type on ebay(china) for my f150 and they have worked great. i'd beware the internal tpms with the steel fittings. one on my wife's jeep let go on the highway and things got real exciting real fast. when I went to get a new one the dealer informed me that the steel ones are discontinued because of issues. the replacements are rubber and work well..
Hmmm, might just be one OEM then, looking at Ford, Audi and Porsche they are still using steel stem TPMS valves.. I did find some background on the issue though... Its corrosion, and then the parts fail.. Well to that id say,,,,, stop putting water in your wheels and that wont happen. My Aluminum valve stems in a lot of years have never shown any signs of corrosion. Nor have the steel ones on trailer or RV wheels. Any one in the San Jose CA area want to ride Friday the 20th? 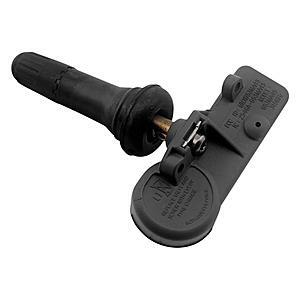 Quick Reply: TPMS any one done it?